Amazon Smile is a website operated by Amazon with the same products, prices and shopping features as Amazon.com. 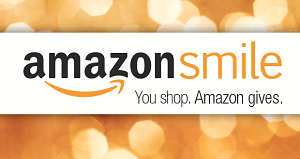 The difference is that when you shop on Amazon Smile, the Amazon Smile Foundation will donate 0.5% of the purchase price of eligible products to the charitable organization of your choice. This is a perfect way to help financially support the Healing Rooms Ministries if you shop on Amazon. As of October, 2018, Healing Rooms Ministries has received $498.93 from your purchases on AmazonSmile! Thank you to all who have joined with us in helping to financially support the work of the ministry. If you have not logged in and named the Healing Rooms Ministries as your charity of choice, please do so soon. And pass the word to your family and friends to do the same in the New Year! There is absolutely no additional cost to the purchaser, but this brings abundant blessings to the Healing Rooms!